When looking to sell your home there are a lot of different loans options a buyer might bring to the table. Once such type is the VA loan. 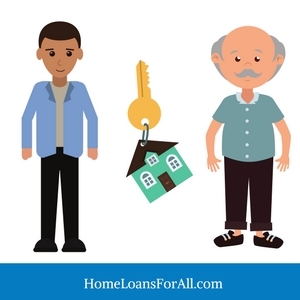 These types of loans are backed by the VA and are used by veterans to help them secure housing. While a great program for the buyer, they can initially be a bit off-putting for sellers. There are a couple of VA loan requirements for sellers to keep in mind to make the process a smooth one. 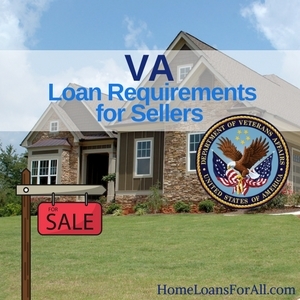 VA loans come with list of requirements for the buyers, but also has a series of requirements the seller needs to satisfy. These include things like an inspection and appraisal, and can prevent a loan being approved for the buyer. It’s important for the seller to understand the process in order to avoid any issues with the requirements. Get Help Pre Qualifying for a VA Home Loan – Click Here! One of the most important aspects of a VA loan for the seller to keep in mind is the inspection appraisal process. This inspects both the safety and integrity of your home, and places a fair market value on it. If either of these comes back negative, then it could mean difficulty in the buyer securing the loan. The home inspection itself is performed by a licensed inspector. It’s important to keep in mind that this is not a thorough home inspection by a typical inspector, but one that looks at any large structural or safety issues. Many VA home buyers will have both the mandated VA inspection, as well as a standard, more in-depth home inspection, so don’t be surprised to see both. As noted, this inspection is meant to only look for issues that will be a significant cost to the homebuyer, or safety concerns. For example, a significant issue might be lack of working heat, or pest infestation. It could also be something as simple as having broken windows or handrails. The three keys an inspector is looking for is safe, sound, and sanitary. Any of these issues that are found will have to be fixed. 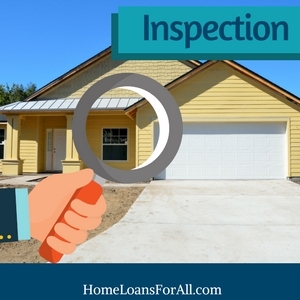 If a home inspection fails, then they will have to be fixed before the loan is approved. It is the seller’s responsibility to get these issues fixed, and they must be done before the loan is approved. Notably, the repairs must be done at the homeowners expense. During the inspection process, the inspector will also give the home an appraisal value. The inspector will assess the property, and give it a “fair market value” appraisal. Issues can arise here when the appraisal fails or the appraisal comes in lower than the asking price. In cases such as this, the buyer can go back to the seller to negotiate a lower sale price, or walk away from the purchase. This is a bit of a drawback for the seller, as it puts a hard cap on what a VA loan buyer can pay for your home. While great for buyers, there are many sellers who dislike working with VA loans. There are a couple of key items for a seller to watch out for, all of which can slow down or even completely derail a sale. One of the often cited issues with a VA loan requirements for sellers is the time it takes for the loan to be officially secured by the buyer. The buyer has several steps that need to completed in order to prove their eligibility, get the property approved, and finally secure the loan. This can add a significant amount of time onto the process of purchasing a home. For those looking for a quick close this can be a serious concern. Fortunately, in recent years this has become less of an issue as many lenders have become approved to handle a lot of the paperwork. Working with a skilled agent who has experience with these types of loans is key here, and can really help keep the process on track. Nonetheless, this is a large concern for sellers who want a smooth and quick selling process or can’t afford to be holding a property for a few extra weeks. Another concern for sellers is the dreaded inspection and appraisal process. A home inspection that turns up an issue can lead to expensive repairs or a withdrawn offer. Seeing as it can be a bit into the process that the inspection happens, it can lead to a lot of lost time on each side. 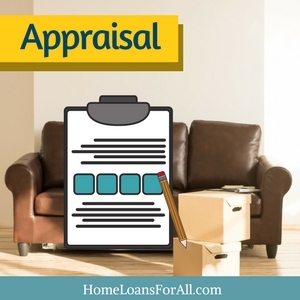 It’s also a concern that appraisals can only be done by specific inspectors,and waiting for one to be available can sometimes be a modest wait. The same goes for the appraisals, which if low can prevent the seller from getting their asking price. As appraisals are based off of similar sold home in the area, this can be a problem especially for low volume areas that have little or outdated data to go off of. While a buyer can make up the difference, many are likely to try to negotiate the price down. Depending on the property, this could taking less than expected or turning down their offer. Another important aspect of the VA loan is the limit on what fees and how much a buyer can pay for. A lot of fees cannot be passed onto the buyer, and therefore are likely to passed onto the seller instead. This is especially true with certain types of fees from the lender or agent who are looking to make up their costs no matter what. Understanding these fees and how much it impacts the sale is essential to deciding whether a VA loan offer is worth taking. The first important thing to keep in mind is the list on non-allowable fees. These are the items that the buyer is not allowed to pay. This includes things like the closing fee, attorney fees (for the seller), and an underwriting fee. Any types of these costs can not be passed onto the buyer, and will likely end on the sellers lap. There are more than just these three, and some might not apply in all situations, so ask the agent and lender what additional fees to expect. Depending on where you live and the rules in your state you might also be on the hook for other fees as well. For example, certain at risk areas are required to get a termite inspection; which, in most states, must be paid for by the borrower. Make sure to check with your local rules to determine if this type of fee, or others, might be applicable to your property. Learn more about VA Appraisal Fees here. Despite some negatives, there are certainly a few pluses to working with buyers using VA loans. The largest is the increased pool of potential buyers. Not working with VA loan buyers can limit the number of people that could become your potential home buyer. By having the widest range of potential buyers your greatly increase your odds of finding one and doing so quickly. You also get the added benefit of helping someone who has served the country find a home. These men and women have certainly earned the benefits provided to them, and the seller gets the satisfaction of knowing they help put them to good use. While VA loans definitely have some negatives it’s still absolutely worth working with those looking to utilize them. Casting a wide net is essential to selling a home and getting the best price for it, and it won’t do any good excluding people as potential buyers. By selling a house to someone with a VA loan you increase your chances of finding a good buyer, and understanding the VA loan requirements for sellers is a crucial step to avoiding any inconveniences. Are VA loan Closing Costs Paid By The Seller? It depends on the type of cost. While buyers can pay for some costs, there are a slew of them that the buyer is not allowed to pay, and therefore must be paid by the seller, agent, or lender. 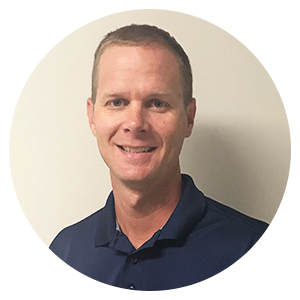 Why Do Sellers Not Like VA Loans? Many sellers dislike dealing with VA loans due to the potentially longer loan process, as well as the additional fees that the buyer is not allowed to pay. There’s also been complaints about poor appraisals coming in under value and eating up valuable time. Can a Seller Not Accept a VA Loan? While it’s illegal to decline someone solely on the fact that they are using a VA loan or are a veteran, any other sort of standard reason is acceptable. For example, if their offer comes in under asking or you receive a better offer from another party. You’re under no obligation to accept an offer just because it is a VA Loan.